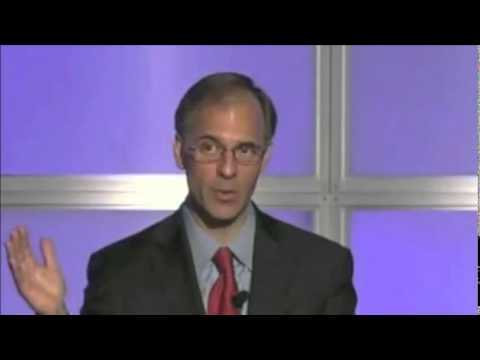 A trusted adviser to policymakers and an influential source of economic analysis to businesses, journalists and the public, Mark Zandi has frequently testified before Congress and has advised the Obama administration as well as Senator John McCain's campaign for president. His clear and articulate explanations of complex economic and financial phenomena have made him a sought-after speaker at client briefings and conferences, a nonpartisan consultant to government officials, and a valued source of facts and analysis for major news media outlets. 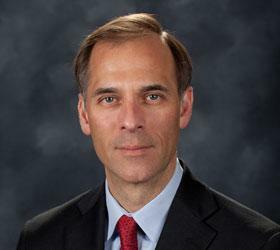 As chief economist of Moody's Analytics and cofounder of Moody's Economy.com, Dr. Zandi directs the firm's research and consulting activities for businesses, government agencies, and other entities in the U.S. and around the globe. His recent research has focused on the determinants of mortgage foreclosure and personal bankruptcy, analyzed the economic impact of various tax and government spending policies, and assessed the appropriate policy response to bubbles in asset markets. He is the author of Financial Shock, a critically acclaimed expose of the financial crisis, and is currently penning his next book, Paying the Price, a roadmap for meeting the nation's daunting fiscal challenges. How could a once-obscure lending category unleash the worst financial crisis since the Great Depression? How did the effects of the U.S. subprime mortgage crisis spread around the globe? Faulty reasoning and greed created an environment that led up to the crisis, and laxity allowed it to spread. To avoid a recurrence, homeowners, investors and policymakers would do well to examine not only specific missteps, but also the deeper forces behind the crisis, including homeowner psychology, antiregulatory sentiment, and the technology that facilitates complex global lending. How mortgage lenders, investment bankers, builders, regulators, and the Federal Reserve caused this global disaster. How homeowners and investors can protect themselves from financial shocks already on the horizon. What policymakers need to do now to prevent a recurrence. Everything about the economic downturn that began in December 2007 has been out of the ordinary. The same will be true of the recovery. The excesses that led to the worst U.S. recession since the Great Depression mean that markets as well as the regulatory environment will emerge substantially altered. Consumer spending, saving habits, credit markets, the composition of the labor force, global trade dynamics-all have been deeply rattled by global financial and economic developments. How and when will the U.S. fully recover from this downturn? And what will the economic landscape look like when it does? Already, the downturn is no longer intensifying. Even though some 25 million workers-more than 15% of the workforce-are either unemployed or underemployed, a number of positive-or rather, less negative-reports on the economy are giving solace to stock and bond investors: Although almost one-half of home sales are now foreclosure or short sales, they have stabilized. Consumers remain cautious, but retail sales have firmed. And although manufacturers and retailers will need to cut even more jobs, the worst of the layoffs is behind us. An increase in long-term interest rates poses a new threat, but it is not too soon to consider the character of the subsequent economic recovery. History shows that severe downturns yield strong recoveries, but history may not be so reliable a guide this time. The factors that made this downturn the Great Recession. The timeline for a full economic recovery. The outlook for a changed economic landscape.